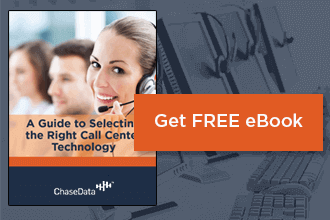 The average call center deals with hundreds of thousands of pieces of information daily. While the processing of all this information is spread between dozens or even hundreds of individual agents and management members, it can still be very difficult to ensure quality and consistency. Making sure the processing and utilization of this information are conducted properly is critically important to the success of the modern call center. Thankfully, there is technology available today that speeds and eases the process of collecting and using this information. One of the most important ways this information is gathered and used is through dual channel recording. Here, we’ll examine just how important this technology is to today’s contact center and the assurance of quality therein. What is Dual Chanel Recording? Analyzing what is said between your callers and your call center agents can be a valuable tool for determining how well your agents are serving your consumers and how well consumer concerns are being addressed. However, this analyzation can be difficult and time-consuming, especially when the two voices are very similar. Picking apart the voices and determining who is saying what can take more time than the process is worth in terms of value to your company. Thankfully, there is a solution that expedites and eases the process. Dual channel recording is a process that more and more modern call centers are implementing to speed up and improve the process of examining the information they garner from previous exchanges between callers and agents. During this automated process, every single call is recorded on two channels simultaneously. This means that the incoming line and the home or answering line is recorded separately yet at the exact same time. Nothing is missed and every word is kept segregated to the line from which it came, so there is no difficulty in determining who said what. How is Dual Channel Recording Important to Call Center Quality Assurance Guidelines? There is more to beefing up your call center quality assurance guidelines with dual channel recording than simply taking note of which terms are repeated numerous times, such as ‘cancel’ and other important keywords. While this is certainly one reason to use this technology, there are many more nuanced reasons to put it to work in your call center – many of which will have more lasting impacts on both your staff and your call center quality assurance guidelines. Ask any experienced call center manager and you’ll hear the same answer – recorded consumer calls are a treasure trove of valuable information that you simply can’t get anywhere else. No matter how much you train and how specific your training exercises are, you can’t gain the kind of real-world experience that you can from using data from actual conversations as feedback and basis for training. Extracting information from these exchanges allows you to prepare new agents for realistic interactions and create a prepared, knowledgeable workforce – all from resources you already have readily available! One of the biggest ways that dual channel recording is used in fortifying call center quality assurance guidelines is through the confirmation in these recorded conversations that needs are being met. Consumers are typically asked how well they have been served, and their responses are an invaluable source of feedback for your company. Listen to these responses. Learn from them. Through doing this, you will be able to improve your approach and fine-tune it for customers to come. Product management. Keeping track of consumer perceptions of the various products and services that your company or affiliate offers can be very helpful, especially when it comes to dealing with the potential feedback you receive daily. If there are products that receive numerous negative reviews or complaints, it is important that your agents be aware of this ahead of time so that they can be prepared to handle these possible complaints properly when they arise. Likewise, if there are potential flaws or shortcomings in new products, extracting information from calls over the initial weeks of consumer purchasing and use will help you determine whether to pull these products or continue to offer them with additional training to agents on how to handle consumer concerns. Cataloging feedback. What are other companies and corporate entities saying about your goods and services? Keeping a dashboard of this feedback is an opportunity that collecting information gathered from recorded calls affords your contact center. Giving your agents and management members this information helps to motivate and empower them – as well as inspire better performance. Avoid redundancy. No one likes to be asked the same questions numerous times. Not only is it annoying and frustrating, but it makes the consumer feel as if the person they are talking to isn’t listening to them. Dual channel recording can help with this by analyzing a consumer’s previous conversations and extracting information from those calls to ensure that agents in follow-up conversations won’t address the same issues without reason to do so. Many call recording programs offer the option to add transcripts of previous calls to current conversations with a few quick slicks, making this easier than ever. If you’re interested in learning more about how to apply dual channel recording technology to your facility’s daily operations, contact the industry experts at ChaseData. We have everything you need to set up and fully realize your ideal call center quality assurance guidelines and ensure that every consumer that contacts you is getting the best possible experience, every time. Don’t wait and wish you had the tools for this valuable feedback once it’s too late for them to make a difference; make the call to learn more today!